Part 3 of the Mixmag 2019 Tour! 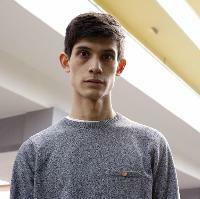 Objekt is the most exciting DJ in the world. The Berlin-based artist is a wizard behind the decks, pairing next-level technical skills with an unwavering focus on having fun. His resulting sets are the most thrilling experience you can have in a club right now. Take the plunge at Bristol venue The Marble Factory on March 30. With Katiusha and Batu locked in to support, this is going to be special.